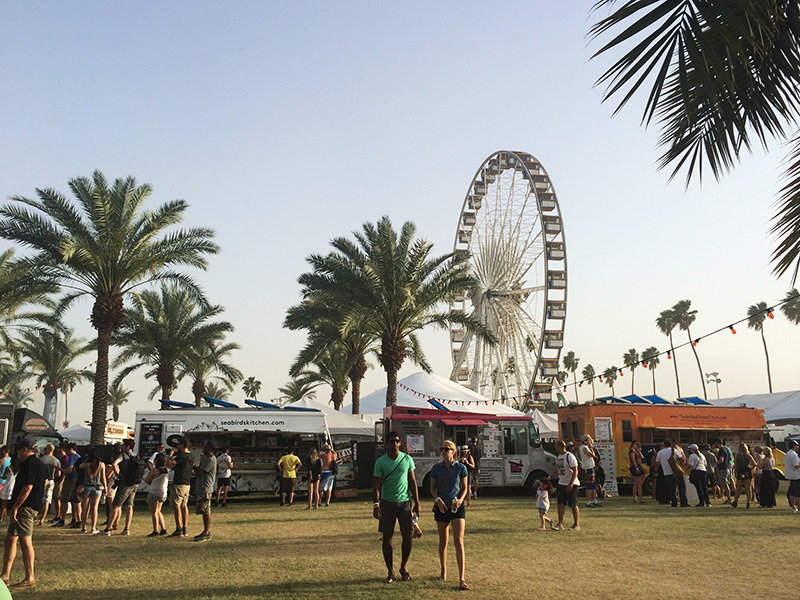 I went to Coachella music Festival in Palm Springs for a lot of fun – but also to discover the vegan food options the festival had to offer. 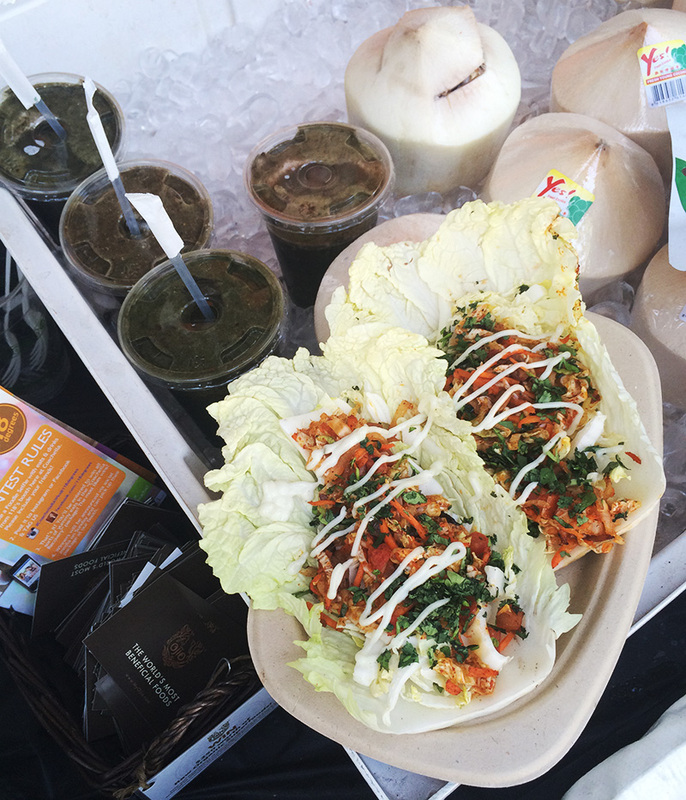 And oh my – I was surprised – this was a paradise for a health food lover as me! The year 2014 was a very good year. 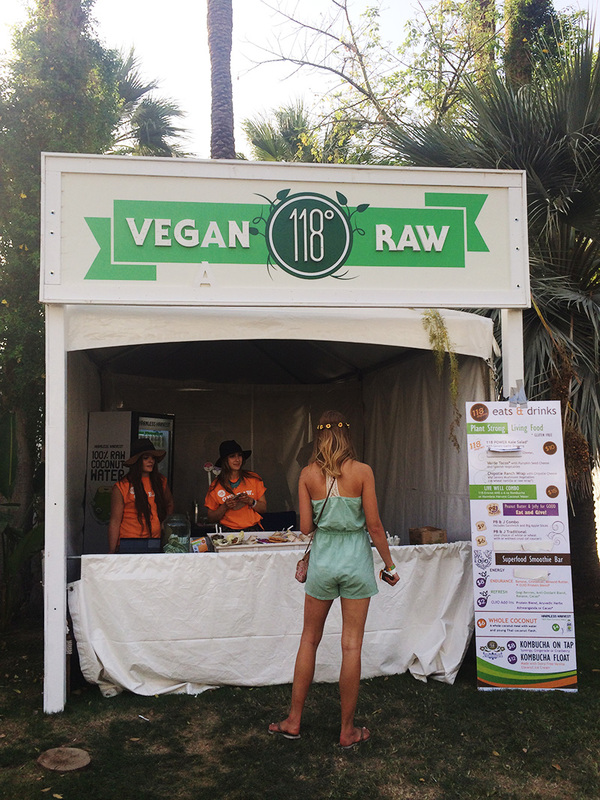 In the VIP area it was a super cosy raw food place named 118 Degrees that served different lunch items every day, green energy boosting smoothies, fresh coconut water and kombucha on tap. I ate their taco served in a napa cabbage leaf with nut meat, onions, tomato salsa and a cashew sour cream one day for lunch. But my favorite was the whole coconuts (in the background!) that I kept on drinking while my friends ordered beers and sugary cocktails. Out in the main area they had a whole section of vegan food places! 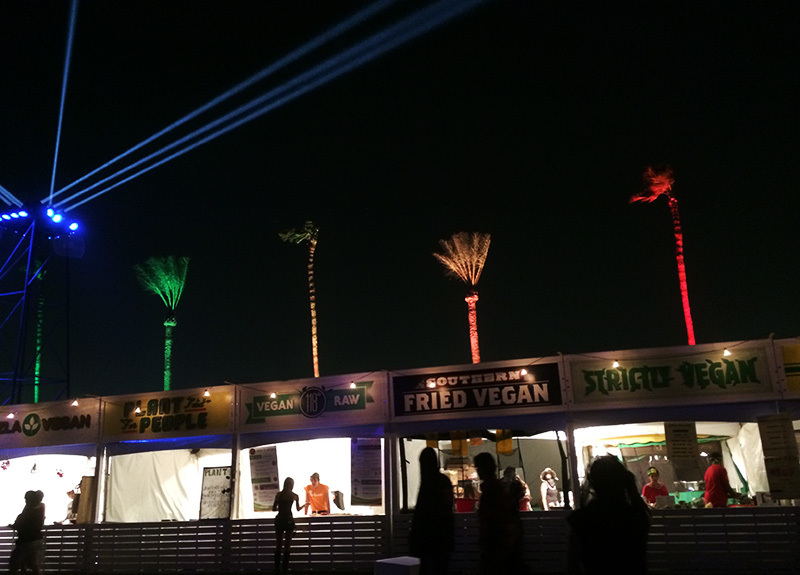 In total I think it was about 15 different vegan kitchens at Coachella. How amazing? 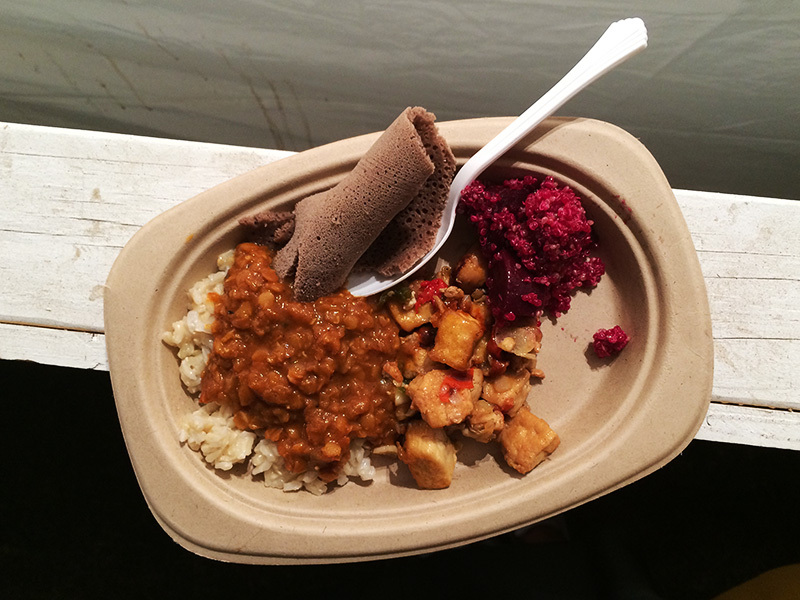 I got a chance to sample some; like the gluten free Mac n Cheese and “fried chicken” from Southern Fried Vegan, a lentil daal from a indian place, dehydrated walnuts in coconut sugar and raw chocolate and some raw energy bars from YES.